US based, Cell Phone Repair, a mobile handset repair chain is expanding their presence in India and awarded Brand Bazooka their digital and mainline advertising duties. “What CPR offers is revolutionary. In fact, we were so impressed with the business model that we told a few of our friends to become a franchisee,” said Vineet Karwal, MD, Brand Bazooka. CPR established their stores in Delhi-NCR region, Kolkata, Assam and Chandigarh and are about to expand much more. Not only mobile handsets, CPR also fix laptops, iPads, video game consoles and other accessories. Bhakti Tanna, Director at CPR, states that the company happens to be the only organized, professional institution in the mobile repair business. CPR is aiming at establishing 100 franchisees in the next two years. “In Brand Bazooka, we found the perfect partner. They have a good understanding of the market, and they are a powerhouse of ideas,” Tanna added. Generating professionalism to a highly unorganized sector of business is the CPR’s objective as the company claims to tackle repairs of all brands, in store and in real time. 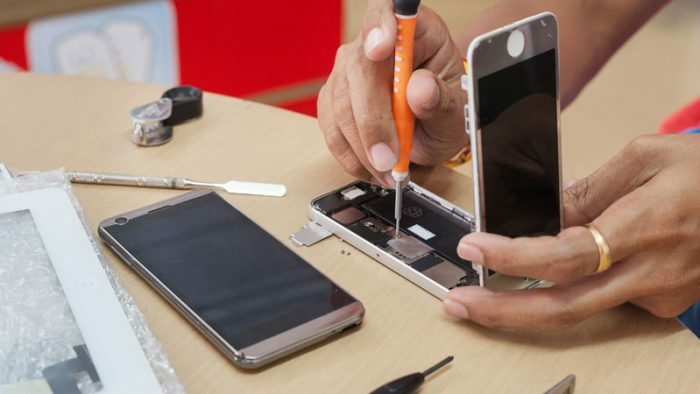 The company also offers free pickup and drop service which is an exclusive service in the sector of mobile repairing services.